The sun plays hide and seek in the absence of rains, reminds me of Bangalore winter more than the monsoon. An evening cup of tea or coffee to enjoy the perfect weather beckons an evening treat! 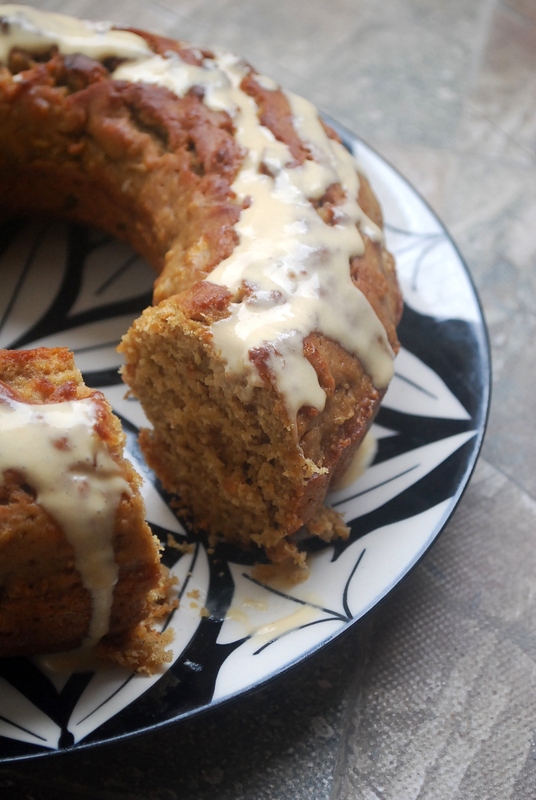 Apple cake is a versatile teacake or a coffeecake like the banana bread. Throw in any ingredient you like and it won’t disappoint you. You can add grated, cut or sliced apples, mixed with flour or placed at top or bottom (for caramelized apple) of the pan. I think I will leave it to your creative senses. I prefer to make my tea cakes simple and the idea of glazing it sounds divine! 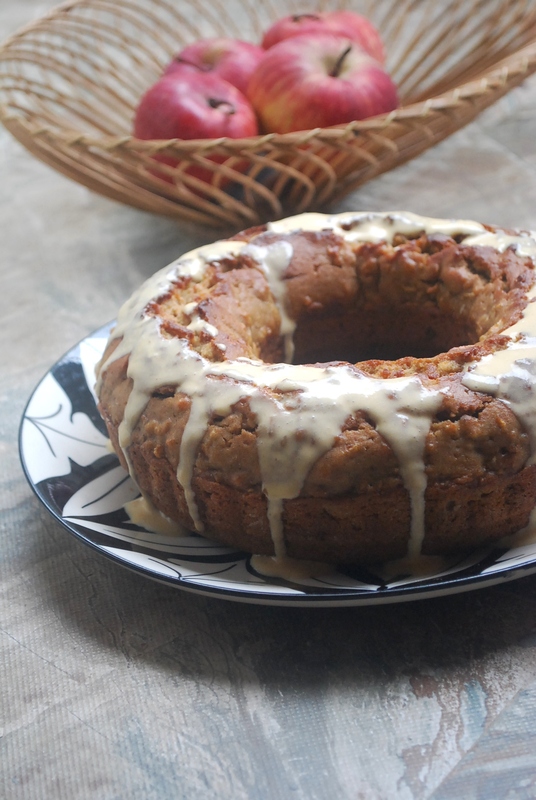 You can glaze your apple cake with a simple mixture of coconut sugar, milk or water and a hint of cinnamon or glaze it with some cinnamon spiked cream cheese or cream or some caramel sauce. Oh my! I can go on and on…. This cake is simple to make and calls for only basic ingredients easily available at home. 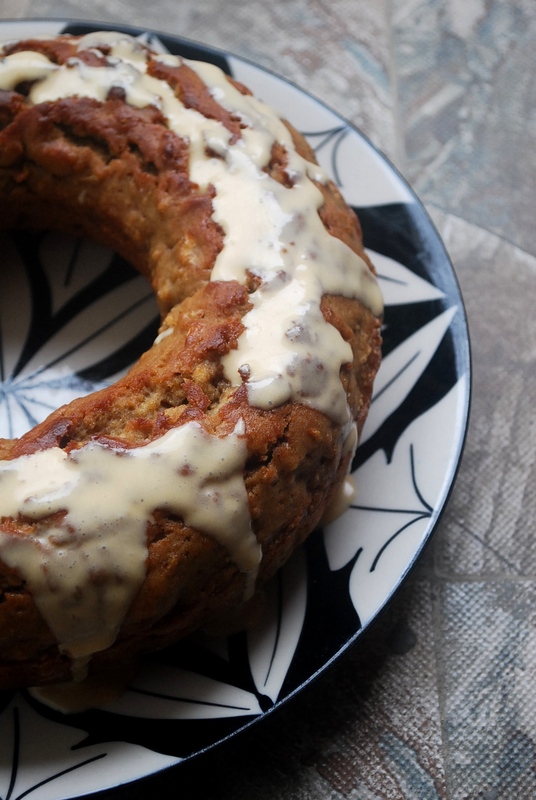 Wheat flour gives this cake a nice nutty and rustic taste. I’ve only used cinnamon and ginger powder to spice up the cake. Coconut sugar gives a nice colour and taste to this cake. * You can add more sugar if you like. I was going to glaze my cake hence I used less sugar. Measure and mix all the dry ingredients. Keep aside. Measure and mix oil with sugar. Add egg one at a time to the sugar and oil mixture. Beat lightly until well incorporated. Mix the dry and the wet ingredients slowly until well combined. Pour it in the desired greased dish. Bake in a pre-heated oven, set at 180 degree centigrade for about 30-40 minutes or depending on your oven settings. Serve warm or at room temperature with your favourite glaze or topping.